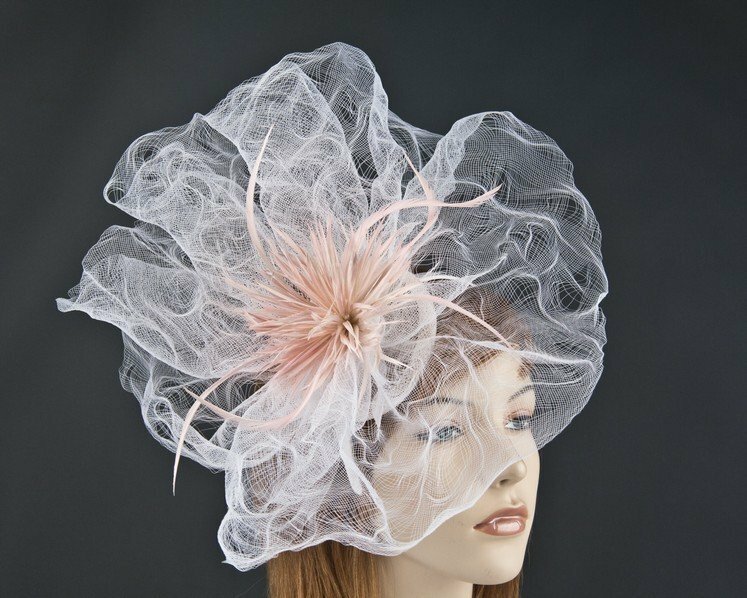 Beautiful large white crinoline fascinator with pink feather flower from latest Max Alexander racing collection. Fascinator is placed on the headband for comfortable fit. This large, yet light and elegant fascinator will be an excellent choice for any Melbourne Cup or racing outfit.